While you may have strong feelings for your horse, a horse is something more than a mere pet. He represents a financial investment and, as a living being, he’s subject to the same injuries and illnesses as any other biological entity. When a horse does become injured or ill, the costs of caring for him can affect what services you can provide and that’s just one reason insurance is so vital. There are actually many different kinds of insurance you should carry for your horse. Health insurance is one type and it’s often necessary, unless you feel confident you can pay out of pocket for major medical treatments. Whether your horse appears in shows, competes in races, or is simply a companion for your family, he requires ample amounts of exercise. As your horse runs, jumps, and plays, the risk of a serious injury is always present. Treatment for something as minor as a sprained ankle may require medication, medical imaging, and the wrapping of the ankle. Just basic treatment can come to hundreds or thousands of dollars, depending on the severity of the injury. Horse health insurance can significantly offset those costs. Suppose the horse suffers a more serious injury or develops a terminal illness. In that case, you stand to lose a significant financial investment in addition to a beloved family companion. 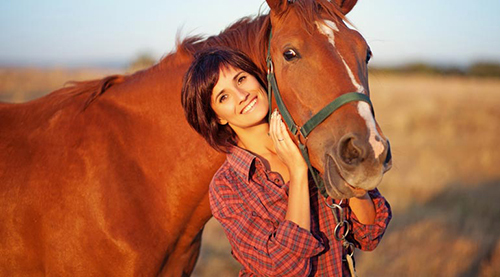 Maintaining horse insurance can help you and your family get through this difficult time. It can provide you with the resources to arrange for the disposal of your horse according to your family’s burial customs. Without life insurance for your horse, you may have few options in terms of how your family can say goodbye to the horse. Finally, liability insurance is equally necessary. When your horse does have an accident, it’s very likely that it will result in property damages. It may also result in injuries to human bystanders. Liability insurance will cover the medical care of individuals injured in the accident and help pay for any property damages that occurred. By keeping insurance up to date, you can protect your horse and your family against events that may cause injuries or illnesses. This entry was posted in Insurance, Pet and tagged horse insurance, horse ownership on January 15, 2019 by Yami.